Some very kind reviews of my Against the Event have come out in recent weeks. There’s this one by Eric Bulson in the Times Literary Supplement, which unfortunately is behind the paywall (and which also prompted a rather hilarious letter from Austin Briggs). Further, there’s one by Katie Da Cunha Lewin in Review 31, as well as this excellent one by Mark Farrant in 3 AM Magazine. Finally, there’s another in Choice: Current Reviews for Academic Libraries, but even I can’t get behind that paywall. 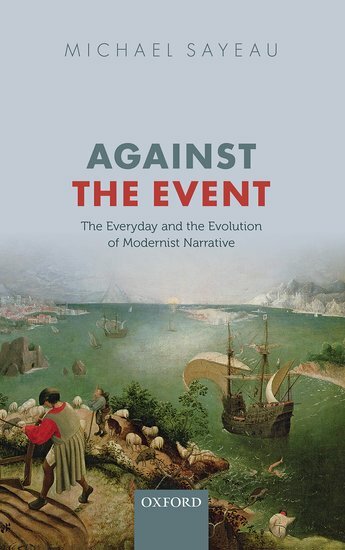 I have recently signed a contract with Oxford University Press to published my monograph Against the Event: The Everyday and the Evolution of Literary Modernism. It should appear sometime in 2013.